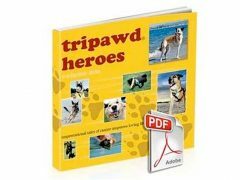 It’s that time of year Tripawds Nation! Join us as we look back on the previous twelve months of Tripawd Health Tips in this Downloads blog. Watch for more in our “Best of 2016” series for each Tripawds Featured Blogs. Subscribe to Tripawd Talk Radio wherever you enjoy podcasts. Learn about Tripawd pain management for dogs with Dr. Mike Petty. He discussed how to tell if your dog is in pain and pain treatment options that he feels are worth pursuing. Dr. Petty is the owner of Arbor Pointe Veterinary Hospital and Animal Pain Center, both in Canton, Michigan. He is author of Dr. Petty’s Pain Relief for Dogs, a must-have for canine pet parents. Learn why clinical trials for dogs and people are the most promising path to treating and ultimately curing cancers, with Colorado State University’s Dr. Christine Hardy, DVM and Dr. Kristen Weishaar, a board-certified oncologist and the Flint Animal Cancer Center’s Director of Clinical Trials. Human and animal amputees are often adversely affected by EMF (Electro Magnetic Frequencies) in our environment. On this episode we’ll learn why and how amputees are more affected by EMFs and what we can do to help reduce and minimize the side effects of exposure. Our guest is Dr. Don Nixdorf, DC, clinician and Board of Advisors member for Farabloc Development Corporation, producers of “Farabloc,” a holistic medical aid that reduces exposure to high frequency EMFs, which helps to alleviate chronic pain and sports injuries in people as well as pets. Learn how to choose the best pet insurance for your animal with Dr. Doug Kenney, author of the Pet Insurance Toolkit – new and revised for 2016! Dr. Doug Kenney is a practicing veterinarian in the Memphis, Tennessee area who is dedicated to helping pet parents choose the best health insurance policy for their companion animals. He is the author of the Pet Insurance Toolkit, a downloadable e-book that helps pet parents understand the ins and outs of pet insurance policies and choose the best policy for them. He also hosts a podcast show, The Pet Insurance Guide Podcast. How do you assess whether or not a cricially injured animal is a candidate for amputation surgery? How do you know if the leg is worth saving? What are some things a pet parent should consider when you suggest amputation or limb salvage surgery? What’s your most memorable amputation recovery story that you can recall? And finally, what is the WILDEST animal you’ve ever amputated a limb on, and how did they do? On this episode of Tripawd Talk Radio we chat with author and animal advocate Laurie Kaplan. As creator of the indispensible handbook “Help Your Dog Fight Cancer” and founder of the Magic Bullet Fund, a non-profit fund dedicated to covering treatment costs for those that can’t afford it. In this episode Laurie shares over 15 years of insight about what it’s like to care for a dog with a cancer diagnosis, how we can help others with in their pets’ cancer diagnoses and where we can focus our efforts to end this devastating disease. What foods can help keep our dog or cat strong through chemotherapy? Can we use human foods to boost appetite during cancer treatments? What foods are not safe to feed our dogs and cats undergoing cancer treatment? Here’s a quickie post with DIY videos that explain how to help your three-legged hero stay loose and flexible: cookie stretches! 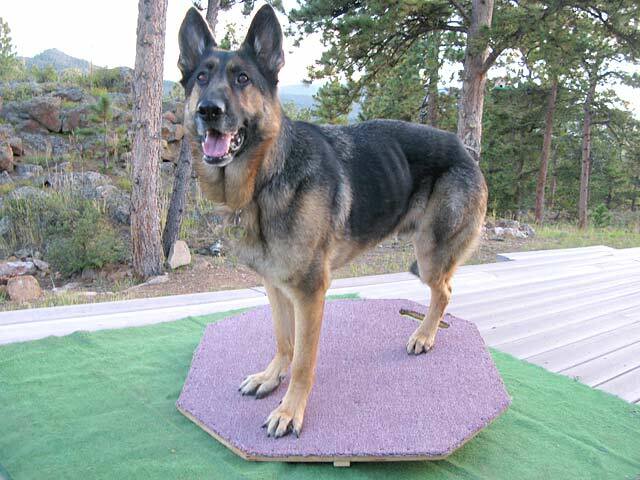 Regular and safe Tripawd dog stretches are so important to reduce the chance of injury. Learn about warm-ups, cool downs and safe play for Tripawd dogs and cats. It’s worth your time to read Pet Health Insurance: a Veterinarian’s Perspective. 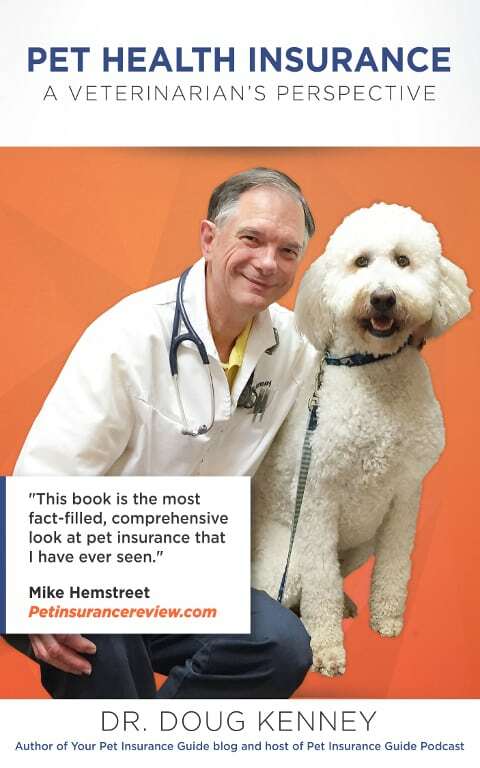 This short, 80-page book that lays out the facts about pet health insurance and the e-book download is FREE only $4.49 USD for the Kindle/PDF version. Watch a helpful and hopeful video about cat and dog leg amputation surgery recovery tips. It was created by Dr. Lori Pasternak of Helping Hands Veterinary Clinic in Richmond Virginia. Join us here in 2017 as we bring you the newest and best downloadable tips to help your cat or dog live a great life on three legs! Looking for the Tripawds Podcast? Tune into Tripawd Talk Radio! Subscribe to Tripawd Talk Radio with your favorite podcast player! 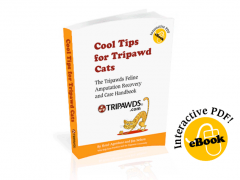 Download Tripawds e-books for fast answers to common questions!